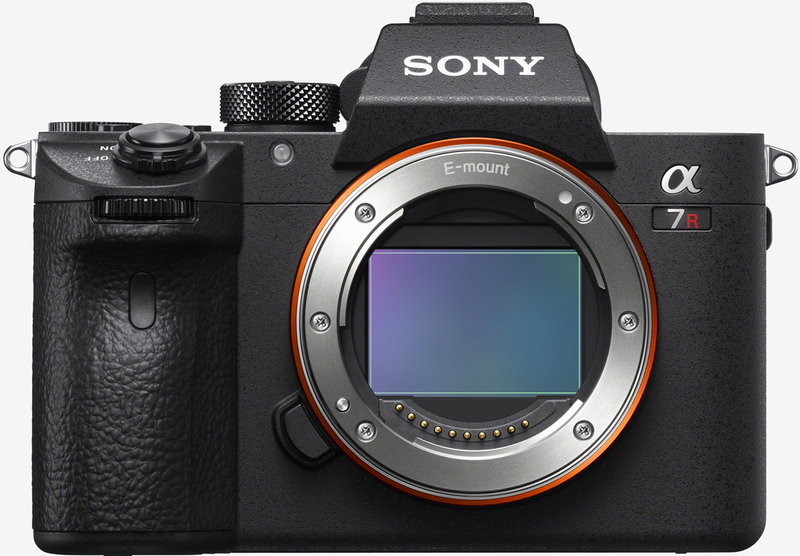 Sony on Wednesday added a new member to its a7 family of full-frame mirrorless cameras. Aesthetically, the Sony a7R III (model ILCE-7RM3) looks a lot like its predecessor from a few years back but that’s certainly not the case under the hood. The new shooter features a 42.4-megapixel back-illuminated Exmor R CMOS image sensor that’s capable of shooting at continuous speeds of up to 10 frames per second with full AF / AE tracking. It’s paired with a new front-end LSI and an updated BIONZ X processing engine that Sony claims can boost processing speed by 1.8 times compared to the a7R II. It is worth pointing out that the high-speed 10 fps mode is achievable with either the mechanical shutter or the silent electronic shutter. The a7R III utilizes a 399-point focal-plane phase-detection AF system and 425-point contrast-detection AF system as well as five-axis image stabilization system. The camera also features a standard ISO range of 100 – 32,000 but can be expanded to 50 – 102,400. Sony’s latest is notably constructed without an optical low-pass filter. Such filters are often used to reduce moiré albeit at the expense of image crispness. The 2.95-inch touch-enabled LCD screen packs in 1.44 million dots, complementing the 3.69-million-dot electronic viewfinder. The body also provides two media slots for SD cards (UHS-II-compatible for fast data writing) and SD/MS cards, respectively. If it’s video you’re interested in, note that the a7R III can capture 4K footage at up to 30 frames per second or 1080p at up to 120 fps. The Sony A7R III starts at $3,199.99 and is scheduled to ship in late November. There’s also a new lens to speak of, the FE 24-105mm F4 G OSS Standard Zoom (model SEL24105G) that’ll set you back around $1,300 when it arrives next month.